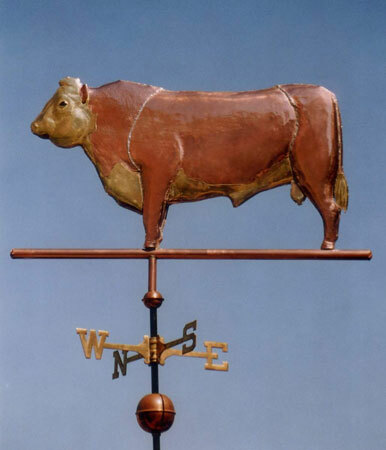 Our Hereford Bull Weather Vane was originally commissioned by an Oregon rancher’s wife for her husband’s 55th birthday. 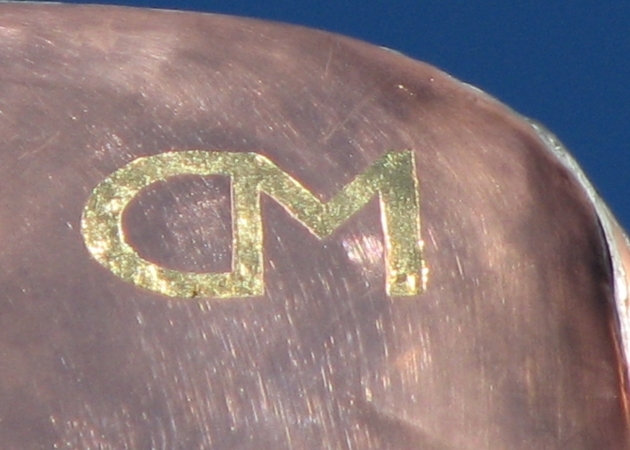 To commemorate this birthday and the year their weather vane was crafted we sealed 1943 and 1998 ‘lucky’ pennies inside as part of a century old good luck tradition. 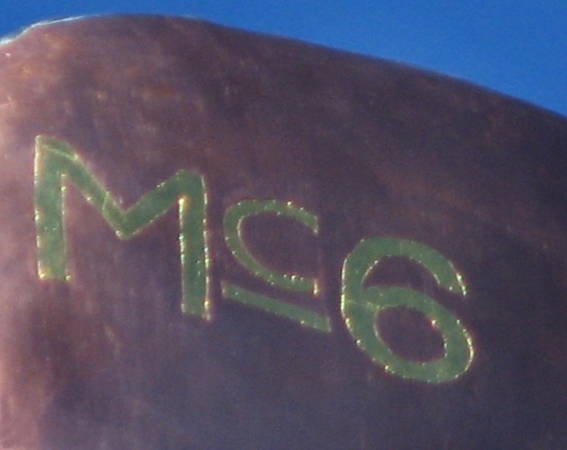 Originally, we were going to put the 1943 penny on the outside of the weathervane but because the rancher was born during World War II and copper was a scarce commodity needed for the war effort, the 1943 pennies were made of zinc coated steel and zinc does not solder well to copper! 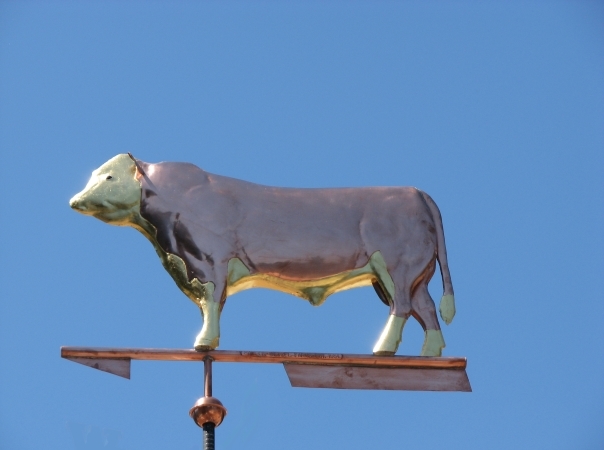 The Hereford Bull weathevane featured in this photo was crafted out of copper with optional gold leafed accents. We have also added brown glass eyes with black pupils to give it a more lifelike appearance. 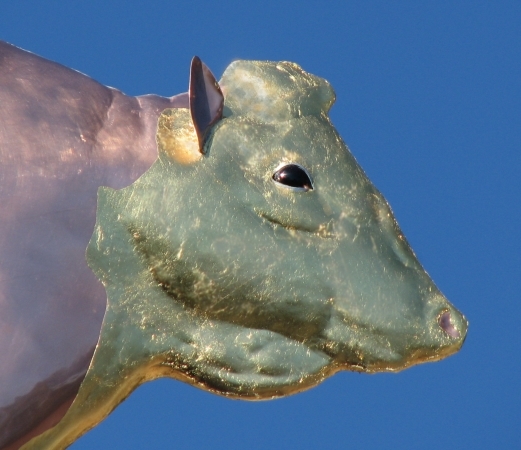 If you like, you can send us photos of your Hereford bull and we will match its markings! 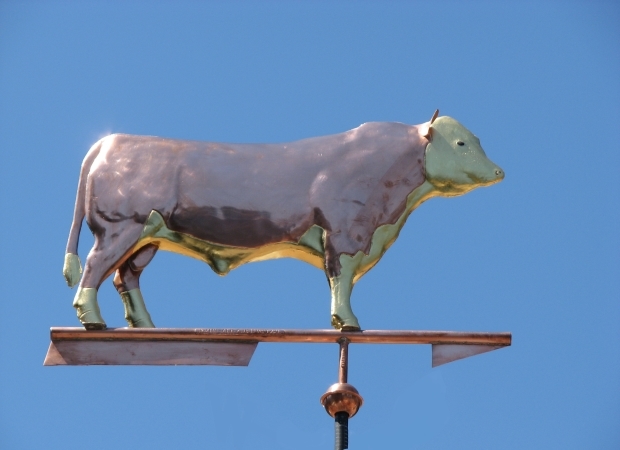 The modern Hereford is the perfect subject for a copper weathervane with its dark red body, white face, crest, dewlap, and underline which can be defined with optional gold or palladium leaf. Most animals have short thick horns that typically curve down at the sides of the head, but there is a polled strain in North America and the UK known as Polled Herefords. 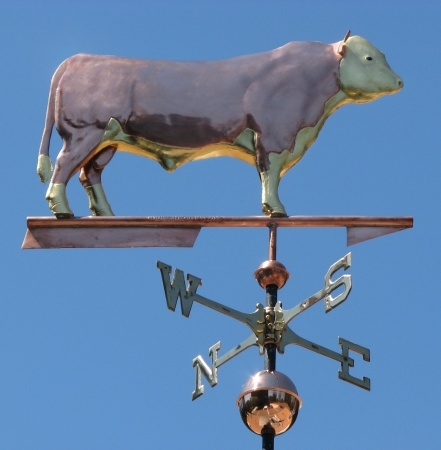 Because we handcraft each weathervane to order, you can choose which way we make yours. Many a prize Hereford, along with other types of livestock, have been proudly nurtured and shown by 4-H youths throughout rural America. Countless ranchers, veterinarians and scientists got their start or training with this organization. Today 4-H has over 6.5 million participants and operates in over 80 countries.